Go-Kart Party | The most fun kids can have! Now in our 15th year franchising, Go-Kart Party is the UK’s largest network of mobile go kart business owners, hiring venues by the hour that Go Kart Party source for you, and is the UK’S ONLY go-kart franchise exclusively for children. Go-Kart Party was established in 2003, and is well respected by leisure industry professionals, event organisers and parents alike. 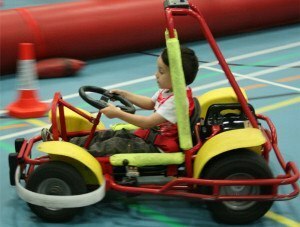 Why start a Go-Kart Party Franchise? Earn money from the parents using the pester power of their children!